I just read some disturbing news about an elementary school in Dallas, Texas that achieved “exemplary” status with math and reading scores by teaching only math and reading to their third grade students for an entire school year! No science, no social studies, no music or art at this school in 2010-2011 AND no voluntary disclosure of this major curriculum revision to parents! The school district discovered this stellar-score-seeking-strategy when investigators uncovered numerous cases of falsified grades at the same school during that year. What’s the connection with attention-ology? I can’t help but think that teachers who manage to catch and keep K – 5 kids’ attention are less apt to feel so overwhelmed by pressure to achieve a certain status, like the teachers and administrators in this school obviously felt, that they would create such a scenario as was reported in the news. The whole story is sad, isn’t it, and on many levels. It underscores the demands that K – 5 teachers face in the world today and it reminds me that the attention-getting tools and tricks I share on my blog can be more helpful to educators with each passing year. Introduce The Curious Glass to your class, one like you see in my blog pic below. Let's use "The Curious Glass!" Okay, some smart students will call out that it’s (nothing but) a magnifying glass. Nod your head and agree but explain that you have plans for turning the magnifier into The Curious Glass. How? Give the magnifying glass “special status” in your class and loan it out to students, one student at a time, who want to do some investigative work for extra class credit. NOTE: For this activity I recommend buying a small supply of plastic (cheap) magnifying glasses, like those available at dollar stores. This in case any students lose The Curious Glass while it’s on their watch. Set up a weekly schedule for The Curious Glass. The student who has possession that week signs the glass out on Monday and is responsible for returning it on Thursday with a report on what they chose to investigate. This opens up all kinds of possibilities for learning. You can ask for written reports on the investigated subject; you can invite kids to create mini-presentations to the class; plan what works best for you and your students. 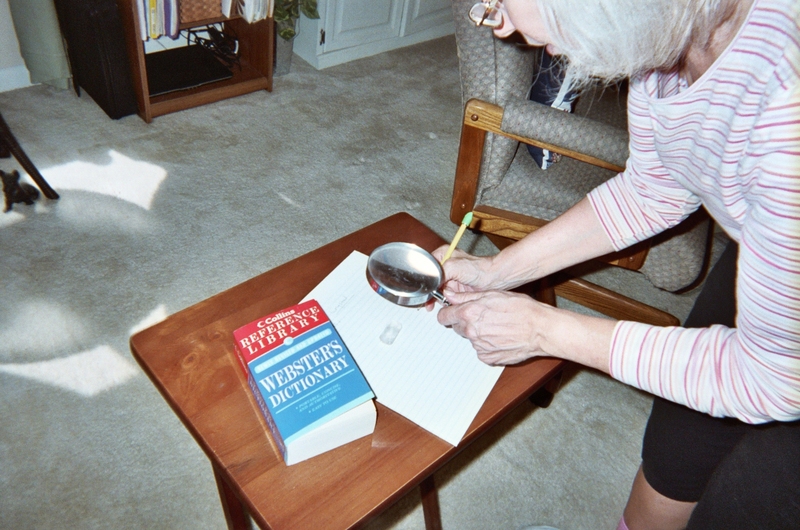 Magnifying glasses are often associated with scientific study. I’ve always loved looking at rocks, sometimes under a magnifying glass. (Yes, I know the American joke about rocks in one’s head!) I love the cool feeling of rocks, the striations and colors in rocks and the incredible diversity of rocks’ shapes and sizes – like people you might add – when you invite your students to play a game I picked up at a jewelry show that included lovely pieces made with semi-precious stones…Tumble Rocks. Check out my blog pics below and you’ll see how easy it is to play Tumble Rocks. Let the rocks tumble out onto paper. Place a piece of white paper or colored paper on an otherwise clear desk. 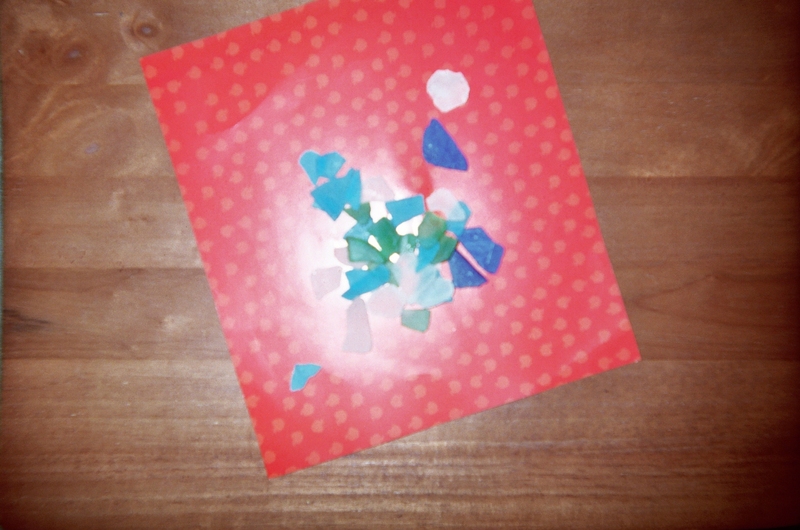 Put a collection of small rocks (or sea glass) in a bag and allow each player to grab a handful and let the rocks tumble out onto the paper. Let each player tumble rocks twice, observing the different patterns that the rocks form each time they tumble. The rocks form different patterns each time they tumble. 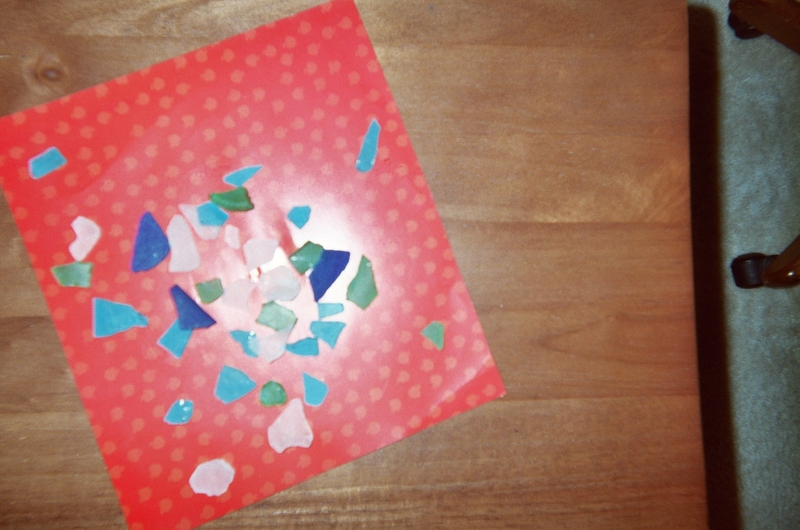 This activity develops creative thinking skills in K – 5 students. Tumble Rocks can also attract younger students’ attention at the beginning of math time. Reward a good listener or worker by designating her or him as the “Tumble Rock Master” for the day. Quickly set up the Tumble Rock game (see above) and invite the student you’ve selected to come up in front of the class, tumble out some rocks and count them out loud. Encourage applause for the correct number! Magnifying attention skills is an ongoing challenge for teachers. Modeling curiosity and critical thinking by showing how you use an actual magnifying glass, demonstrating creative thinking by turning an ordinary magnifying glass into “The Curious Glass” and motivating students to patiently wait their turn to tumble rocks into different designs are all effective ways to develop children’s capacities to stay focused and on task. ‹ What’s Cookin’ in Class? 1 Pings/Trackbacks for "Magnifying Attention Skills"